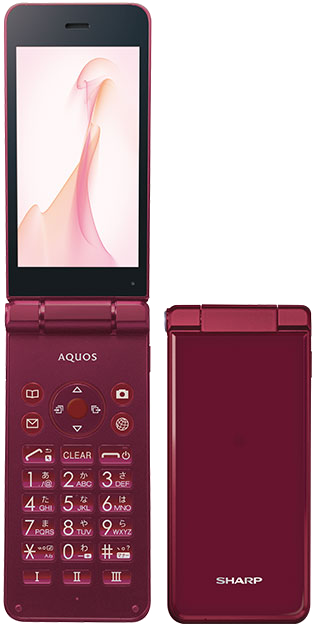 Other than the name, and perhaps relieved from the operator pre-installed bloatware, this is the exact same phone as the Aquos Mobile SH-01J on Docomo, the Aquos Mobile 2 on SoftBank and the Aquos Mobile 602SH on Y!Mobile. The Aquos Mobile SH-N01 has, like earlier models, a Quick Open push-button that can also be set up so it mutes the ringtone upon opening the phone. Sharp promise that this model has a better receiver that is 1.5 times more sensitive to sound pressure levels (in comparison with the previous model). It also comes with speech recognition functionality for voice dialling and launching of selected applications. What's great about the Aquos Mobile SH-N01 is that is it waterproof (IPX5/IPX8), dustproof (IP5X), and shock-resistant (MIL-STD810G). The Aquos Mobile SH-N01 is offered in white, red, and black.